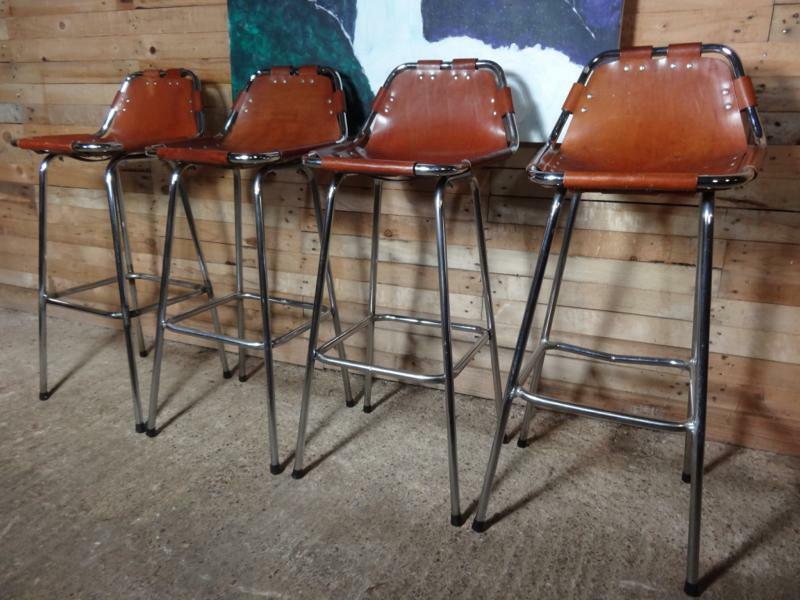 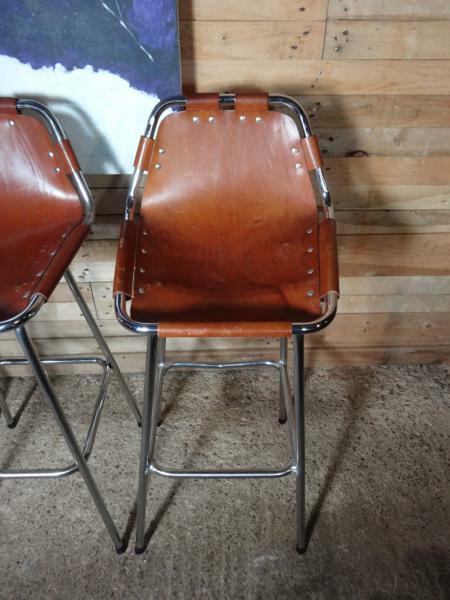 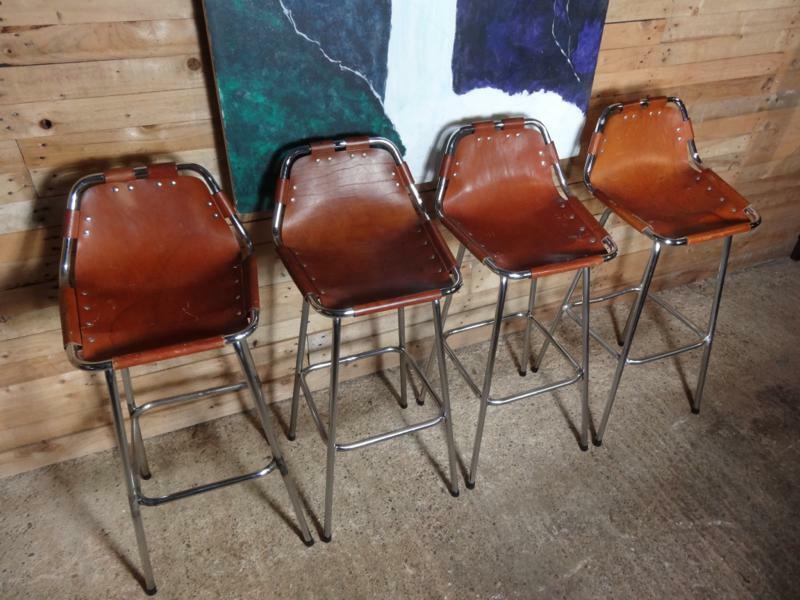 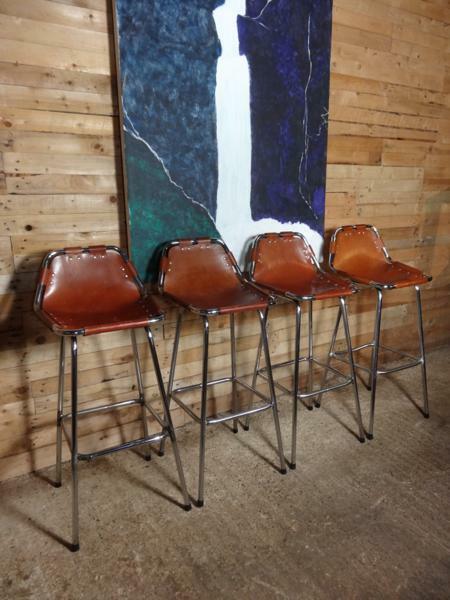 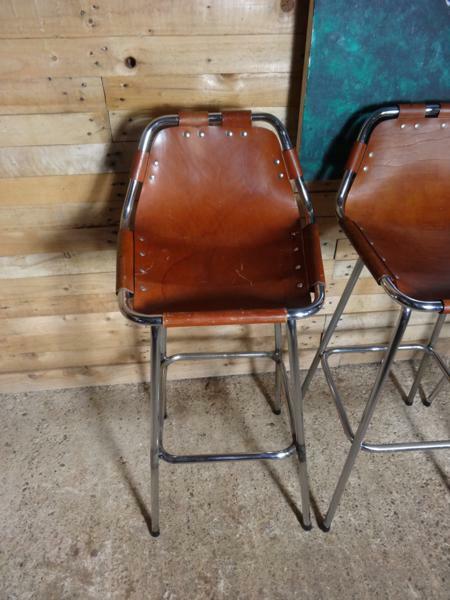 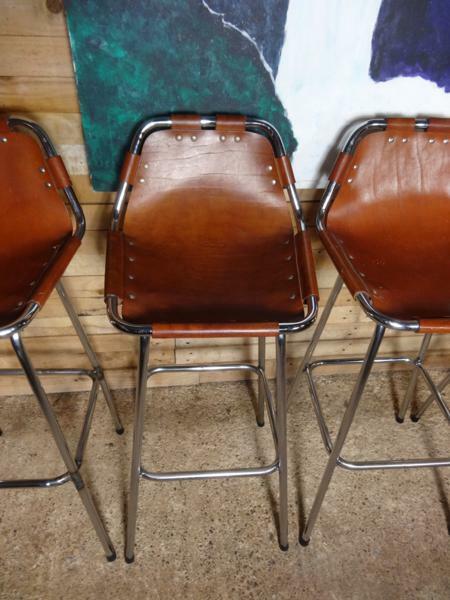 Stunning Stools very unusual and sought after, designed by Charlotte Perriand for and used in the Ski Resort Les Arcs ca 1960. 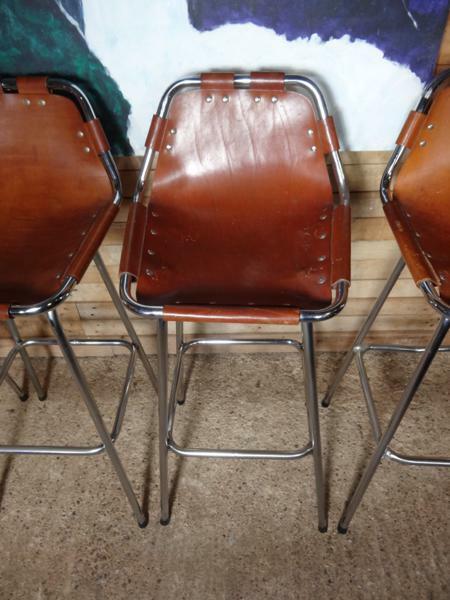 Very nice chrome tubular frame with upholstered thick leather seats. 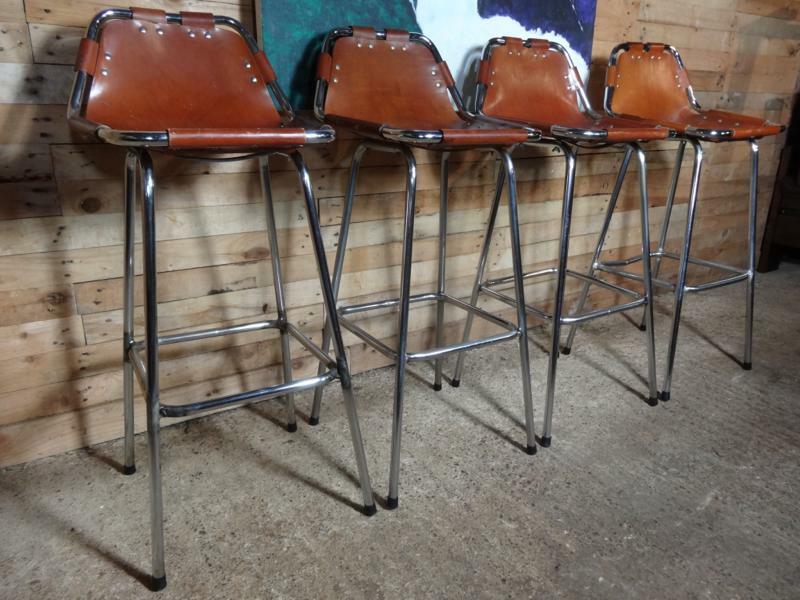 these are all original stools designed by Charlotte Perriand. 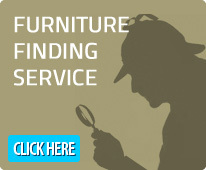 We can sent worldwide, please contact us for a quote.